US Open champion Naomi Osaka has shown her true Japanese spirit by continually apologizing for everything. Two days after winning her first Gland Slam title, the 20-year-old once again said she was sorry for beating Serena Williams. “I could sympathise with the crowd because I’ve been a fan of Serena my whole life and if I was me watching me I would have been booing me as well,” said Osaka. Osaka also apologized to Serena when she took Serena’s used tissues from the 23-time champion to throw them in the garbage. Osaka said she had always wanted to grow up to be like her long-time sporting idol. 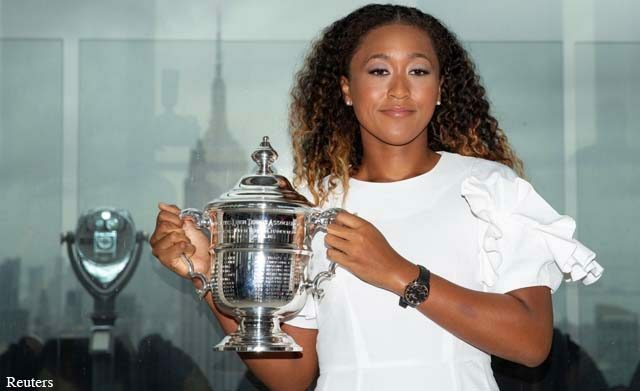 “I want to be like Serena, where I can one day fight for women’s rights by getting coaching tips from my team, smashing a racquet, and calling the umpire a thief,” said Osaka.